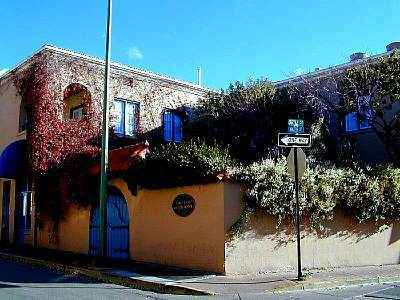 An interesting building with walled courtyard on the corner of Ortiz St. and Water St. in downtown Santa Fe. Looking north on Galisteo St. at Seret & Sons Store on the corner of Galisteo and Alameda in downtown Santa Fe. 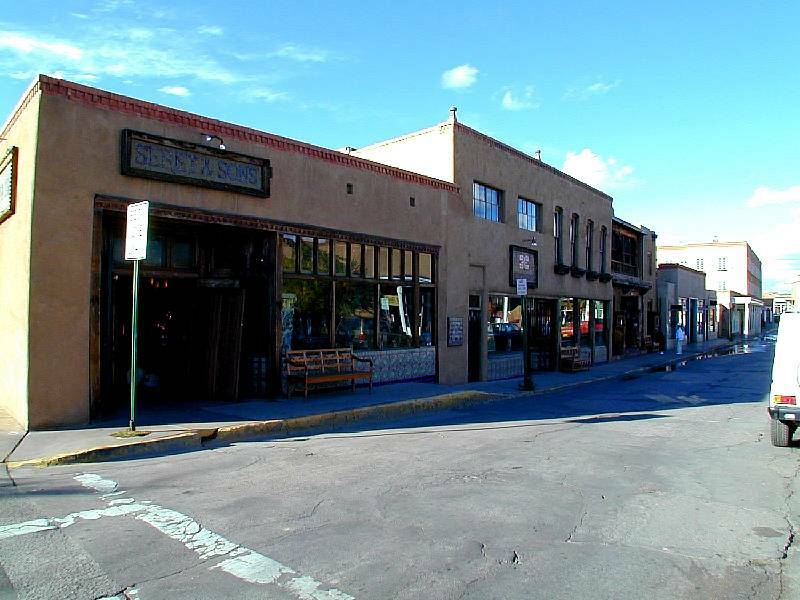 Further up Galisteo St. more of Seret & Sons Store in downtown Santa Fe. 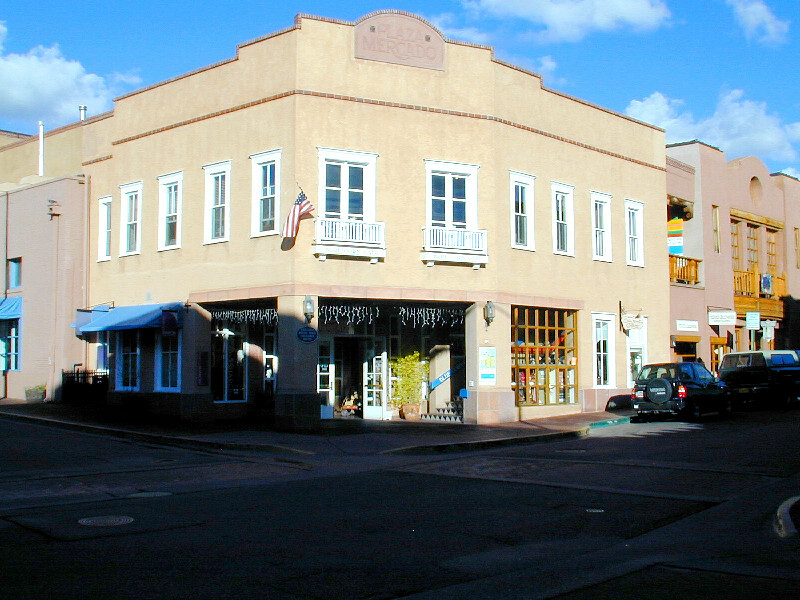 Notice the ristras hanging on the second floor. 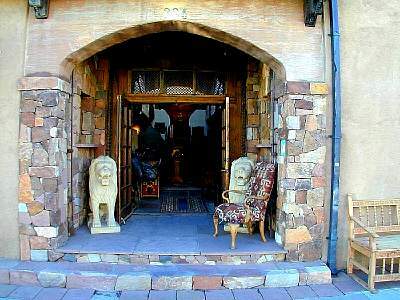 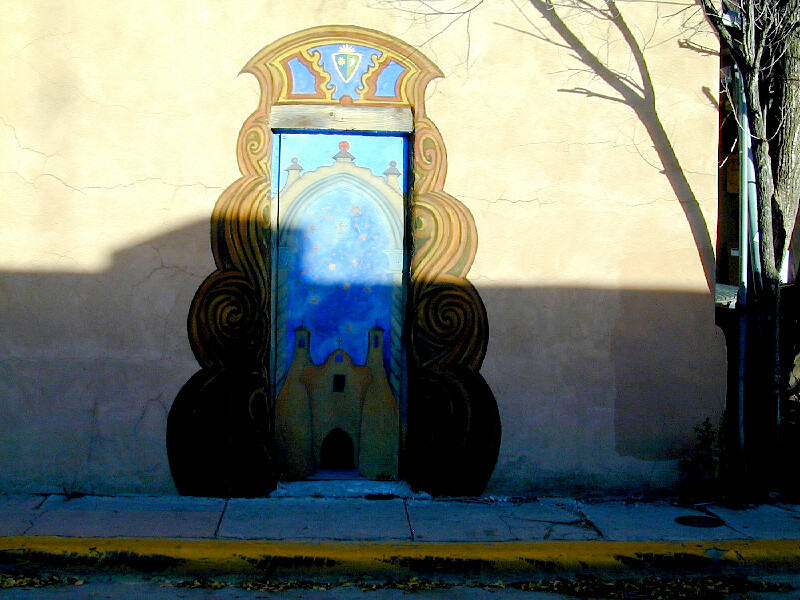 One of the entrances on Galisteo St. to Seret & Sons Store in downtown Santa Fe. 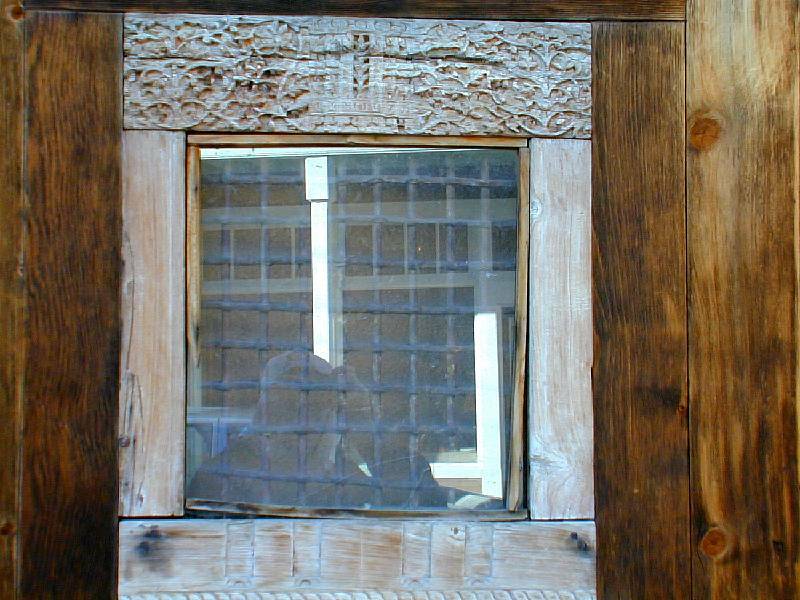 Detail of a window along Galisteo St. in downtown Santa Fe. 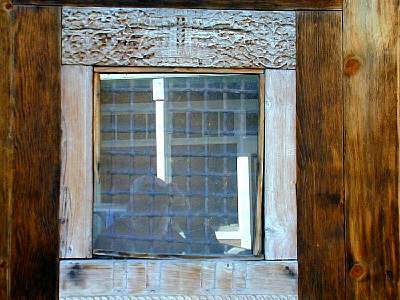 Look closely...this is one of the few photos with Dad in it! Looking into the courtyard of a store along Galisteo St. in downtown Santa Fe. 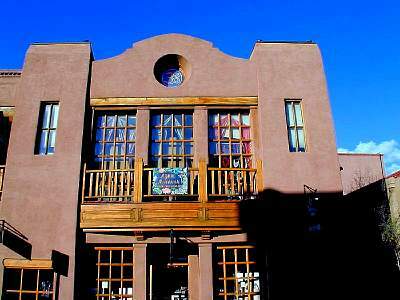 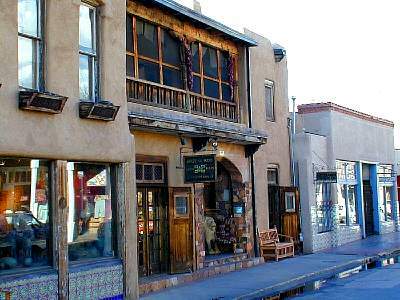 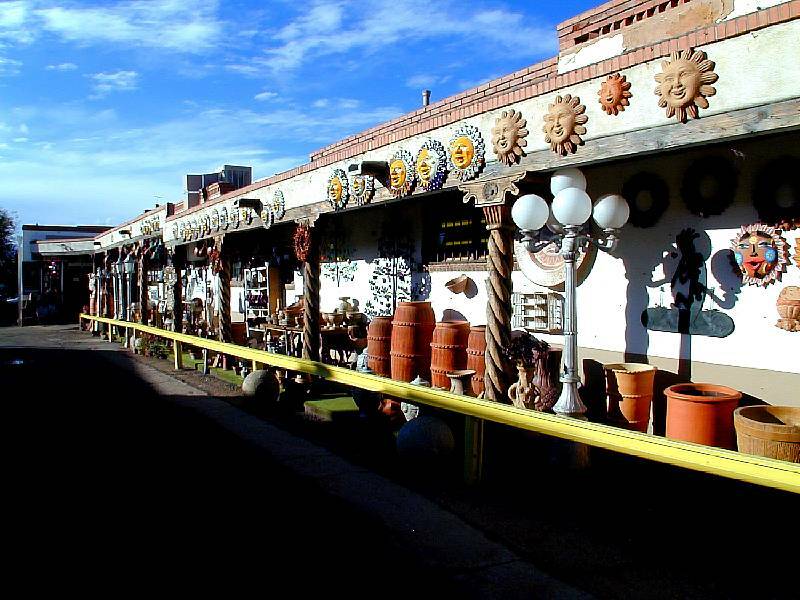 The Natural Discoveries Shop, a corner of the Plaza Mercado at the intersection of Galisteo and Water Streets in downtown Santa Fe. 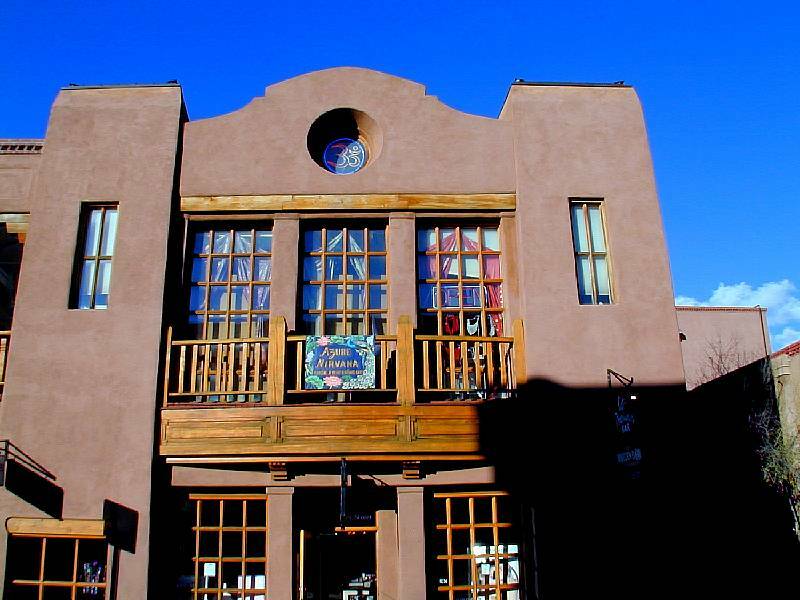 The Azure Nirvana Exotic Jewelry Shop along Water St. in downtown Santa Fe. 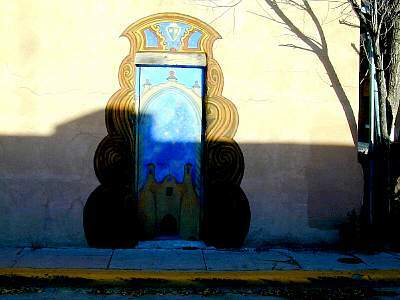 A beautifully painted doorway on a building in downtown Santa Fe.